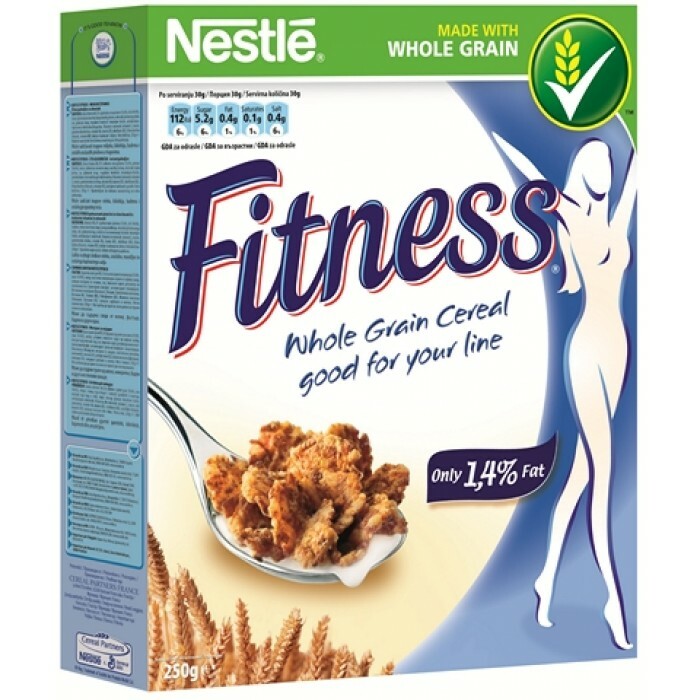 Nestle Fitness cereals are an excellent choice for breakfast! They are made of whole wheat flour and contain 8 vitamins, iron and calcium. Enjoy Nestle Fitness cereals that are part of a varied and balanced diet and a healthy lifestyle. Nestle Fitness cereals are an excellent choice for breakfast! They are made of whole wheat flour ..
Nestle Fitness & Fruits - whole wheat flakes with essential vitamins and minerals to keep you..
Crispy NESTLE FITNESS flakes coated with milk chocolate. Breakfast cereal made from whole grain f..
Tasty flakes are made with X% whole grain, an important part of a balanced diet. Plus, FITNESS Da..
Nestle Fitness - breakfast cereal made from whole grain flakes for a sensible, great-tasting star..
Nestle Fitness Cereal Bars have all the enjoyment of a delicious dessert without guilt, because e..
Nestle Fitness Natural cereals are an excellent choice for breakfast! They are made of whole whea..
Nestle Fitness Yogurt cereal is a great choice for breakfast! They are made of whole wheat ..